A day in the life: Why I love working with Franklin Scholars. My day starts with a quick rattle through my inbox before sitting down with Jess (Franklin Scholars CEO) to catch each other up – on a new partnership she’s developing with a group in west London, on the visits to schools I’ve been doing the last few weeks, on the logistics of our upcoming Awards Ceremony, on how we continue to think about measuring skills from our ABCD Shield. It starts as quick bullets, before becoming a more in-depth discussion on how we need to approach some of the weightier challenges. Meaty. I remember where this whole thing started - sat in a small coffee shop in East London. Officially, Jess and I were both scouting each other out; gauging if I would be a good fit for the job that was being advertised. What it became was an enveloping discussion involving our conviction that students had a unique power to support others in their school, that the development of social emotional skills is all-important, and that by creating a network of skilled and engaged Franklin Scholars we could produce … well, endless beneficial outcomes. I told Jess at the end of that meeting that I would most definitely be applying. That’s what I love about my job; that I get to work with someone that I share a vision with and get to work, on a daily basis, to make it happen. In the afternoon, I’m off to one of our partner schools to run a booster training session with our Y10 Franklin Scholars. Today we’re breaking down and planning out long-term goals to make them a little less daunting. It’s introducing tools that the older students can use with their younger mentees, but it inevitably is also training for how they could use them themselves. As a worked example, one of the Franklin Scholars starts to tackle world peace! I put myself in a café and open up my laptop. I spend the rest of the afternoon handling emails to and from our teachers and senior leaders, creating the slide deck for the workshop I’m doing later in the week, phoning potential venues for the awards ceremony, evaluating an event we hosted in Bolton the previous week. Sometimes my day will end with an event, where you get to share a free drink with people doing related things – there are a lot of passionate people out there. But today I’m winding down with a home cooked dinner and catch-up TV before starting a different day tomorrow. Our 2014-15 impact report is online! Now that we’ve got two full academic years under our belt, we are thrilled to release our first impact report. Since our inception in 2013, we've worked with over 700 young people from 16 schools across 3 regions through our year-long programmes. We have been working hard to track the impact of our interventions in schools and we are thrilled to share the first insights into the impacts that our interventions are having! Want to know more? Dig into our impact report here! Children are often thought of as being the most curious beings; they constantly bug their parents with questions like “how?” and “why?”. They explore, they touch everything just to know what it feels like, they create silly beautiful things, and they somehow make almost anything into a really fun game. But why do we perceive our curiosity to decline as we get older? Is it because we lose sight of what interests us and focus on what we need in order to be successful? Or it is because we are told to smarten up and stop being so silly? Either way, curiosity is just as important to us as adults as it was when we were children. In our Franklin Scholar programme we have noticed that our year 7 students are highly curious; they relentlessly ask all sorts of questions about anything that pops into their heads. They’re rarely embarrassed of their questions and we admire that, because no question is a stupid question. Here we have taken some recommendations from Todd Kashdan’s article: The Power of Curiosity, and come up with a few of our own ideas for how we can continue to be curious as we get older. Because in this ever-changing world it’s important to never stop learning. Make it a goal to learn as much as you can about someone, whether that is someone new, a good friend, or your significant other. It might surprise you how much you can learn from someone you thought you knew everything about. Think fishing is fun? Take a course on fishing or join a group that goes out every weekend. Like reading poetry? Why not try writing some of your own, or go to a live poetry club. Dive deeper into your interests. Have you ever tried something but you didn’t enjoy it or you thought it was too hard so you gave up? Well, try it again! Fear of failure will only hold you back; who knows if you try it again with a different approach the outcome could be different. It’s important to keep an open mind and understand that trial and error only leads us to learn more and where things can be improved. Have you ever had a question burning a hole in your brain but you were too embarrassed to ask? Well it’s time to put anxiety and embarrassment aside. You are far more likely to learn about someone or something when you demonstrate you’re interested through speaking up and asking questions. Reading is a great way to open up your mind and see things from a new perspective. No matter what you decide to read, it will put you inside someone else’s mind and give you new perspectives, new knowledge. There is a positive correlation between reading and curiosity: people who read more are more curious. Warning! In exercising these tips you may be uncomfortable or embarrassed and that’s okay, you can learn and grow from these experiences. Who knows, you might learn to love the feeling of the unknown or the ‘to be found out’. "You don't have to know about Plato and Aristotle to serve. You only need a heart full of grace." If you would like to hear more from Barry Carney, check out the video above or the link to the full speech below. With the 2015/2016 school year just beginning we’ve put together a collection of advice from our 2014/2015 Franklin Scholars to help new Year 7s with the first week jitters. Starting a new school year can make some students feel really excited but others maybe feeling a little nervous. No matter where you fall on the spectrum these pieces of advice are good to keep in mind! We’d like to say good luck to all of the Year 7s starting a new chapter in their lives and anyone else who’s starting something new where this advice might come in handy. Faye Ramsbottom, Religious Studies and Philosophy Teacher and Assistant Head of Key Stage 4 at St Clement Danes School, explains how her experience of becoming a Programme Leader for Franklin Scholars has taught her to re-focus on removing barriers to learning for vulnerable pupils. As Programme Leader for Franklin Scholars at St Clement Danes School for the last year, it’s been my responsibility to coordinate and oversee twice-weekly sessions with Year 10s and Year 7s, involving a combination of group activities, 1:1 literacy support and 1:1 mentoring. The most powerful thing for me has been seeing students find their way within the programme and within the school, and the Year 10s taking the initiative and jumping at the chance to help younger students out. The Year 7s are even doing it now too – offering help in areas where their peers are struggling. Some Y10-Y7 pairs have built really strong and productive relationships. One striking example of the power of peer networks has been personified by the relationship between one Year 7 and his Franklin Scholar. The younger pupil is very outgoing, and not always inclined to sit down and complete tasks that require an extended period of concentration. His Y10 mentor had the idea of teaching him how to play chess, which has been great to see and has likely been a factor in improving his ability to focus in class. 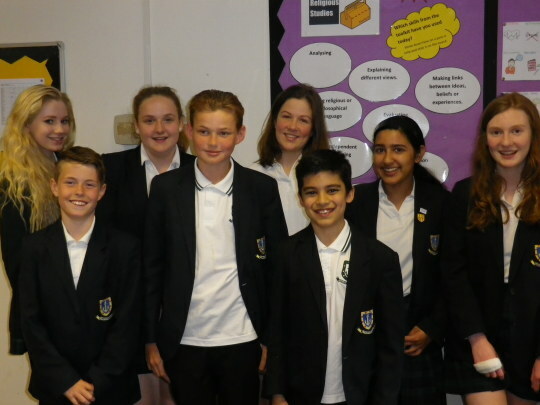 Year 7 participants have reported an increase in their confidence, and have felt supported by having a trusted peer in school. 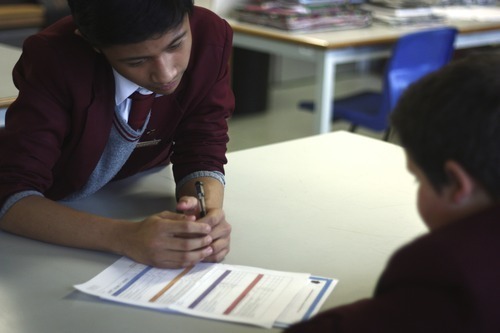 Where the relationship between mentor and mentee is strong there has been a noticeable impact on pupils’ attitudes to learning – shown through reports from teachers. 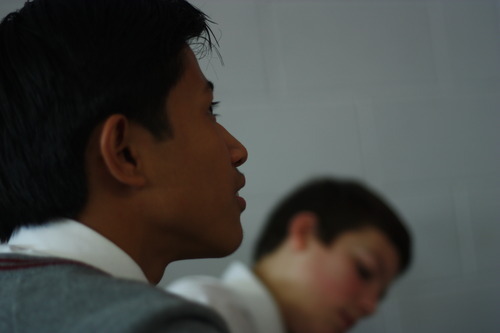 Amongst the Year 10s we have noted, in particular, the development of their leadership and communication skills. I think what makes the programme stand out from other peer mentoring or buddying schemes is the frequency and consistency that comes with the programme – Y7 pupils having another person who’s not a teacher, who’s more on their level and closer to their age, and who actively wants to help them out, twice a week, every week. The opportunity that they have over the course of the year to build real positive relationships is exceptional. The identity and accreditation definitely makes a difference too – the Y10s are proud to call themselves the Franklin Scholars, and knowing that they are part of a network of students around the country working towards the same goals helps to spur them on. While I knew this already, running the programme has reminded me how important it is to remove any barriers to learning early on in a student’s education, as it can have such a big impact later on. The transition from primary to secondary is a time of challenge for many pupils and it’s the single most important moment to put the right provision in place. Peer-to-peer support is a powerful tool to aid in this. I have definitely enjoyed the experience. Simply seeing the students interacting with each other is enough to make it all worthwhile! Franklin Scholars is a peer-mentoring programme to ease the transition from primary to secondary school for vulnerable students (e.g. students with low self-confidence or challenges in literacy), while equipping Y10s with academic mentoring and leadership skills. 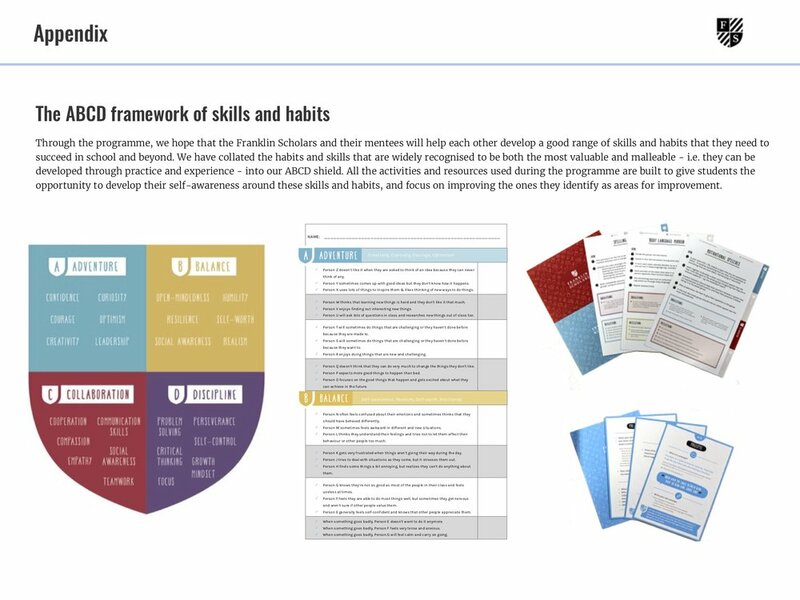 Through the programme, both year groups are given the opportunity to develop their confidence, resilience and socialisation skills; all of which leads to raising their academic attainment. Google hires about 5,000 new staff and receives over 1-million CVs each year, and, for them, it’s all about learning ability, leadership, ownership and humility. It’s not about what you know. It’s about your approach to what you don’t. 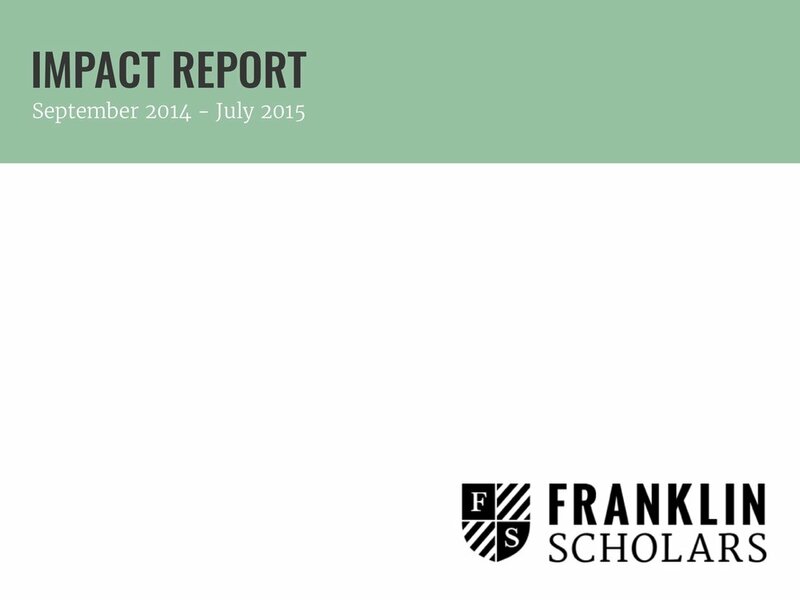 Find out more about how Franklin Scholars are helping students develop valuable skills here. We’re getting more stupid. That’s one point made in a recent article in the New Scientist, reporting on a gradual decline in IQs in developed countries such as the UK, Australia and the Netherlands. 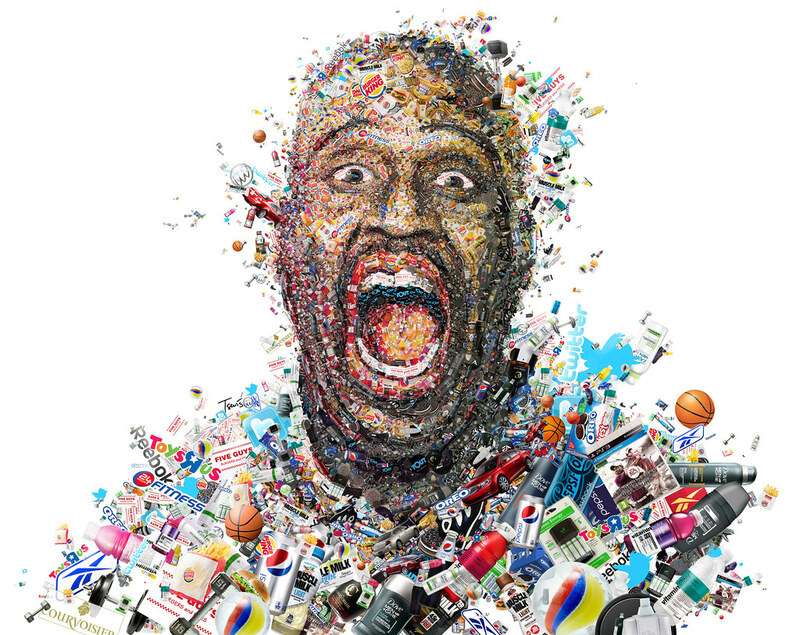 Such research feeds into a long-held fascination with testing human intelligence. Yet such debates are too focused on IQ as a life-long trait that can’t be changed. Other research is beginning to show the opposite. Did you know the the creator of the IQ test didn’t believe in fixed intelligence either? "Once A Franklin Scholar, Always A Franklin Scholar"
At the very moment I walked through the doors of our very first training session, I could already feel a sense of excitement and connection with a teacher whom I never actually called a teacher, instead, I’ve simply known her as a friend. (Because she didn’t like us when we call her with Ms. Instead, she wanted us to call her simply with just her name) and her name is Jess, the most down-to-earth person I’ve ever known. Before the training session, I felt so nervous as usual – as most of my friends can relate to, I’m the kind of person who just sits down in a classroom, with my mouth shut; someone who wouldn’t let anyone distract him. I’m that kind of guy! But everything changed when the Franklin Scholars initiative suddenly walked into my life – my school life. Our training session with the Franklin Scholars team made me realise that I’ve been living under a rock all these years; they made me feel right at home and that I could talk to them by allowing myself to be vulnerable. Then the actual peer mentoring began, and I couldn’t be more privileged to share this experience with a special Year 7 called Leonardo. He’s a very likeable boy who has become more confident over time. I call him Leo, to make things a lot simpler! He became an inspiration to me because he showed me that you don’t need to be nervous at anything, you just need to have fun, learn and be yourself. Two amazing role models walked into my life and showed everything that I lacked all these years and I’m eternally grateful. During my time as a Franklin Scholar, there have been some ups and downs along the way and the way all my fellow Franklin Scholars dealt with it was incredible. Jess and Leo were always there to keep things positive for everyone, and not letting anyone give up at any point. Everyone played their part. Because of Franklin Scholars, I’ve finally found the two things I’ve been missing: confidence and determination. Because of Franklin Scholars, I’ve become a better person. Because of Franklin Scholars, I’ve finally found a reason to keep on going and to never give up no matter what the situation is. My ultimate goal: I want to inspire people. I want them to look at me in the eye and say ‘because of you, I didn’t give up’.